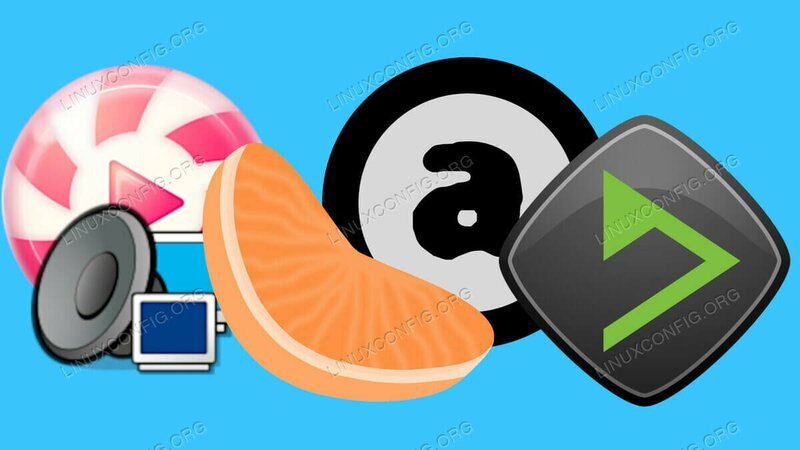 Linux offers a wide range of choice, and music players are no exception. For quite a while, there have been fantastic options when choosing the perfect music player for your Linux computer. All of these players are just as good, if not better, than their proprietary counterparts on other operating systems. They range from the minimal, light weight, and targeted to feature-rich multipurpose players capable of nearly anything. There's a great choice for every music fan on Linux. Table of Contents: These Music Players Are 2019’s Best. 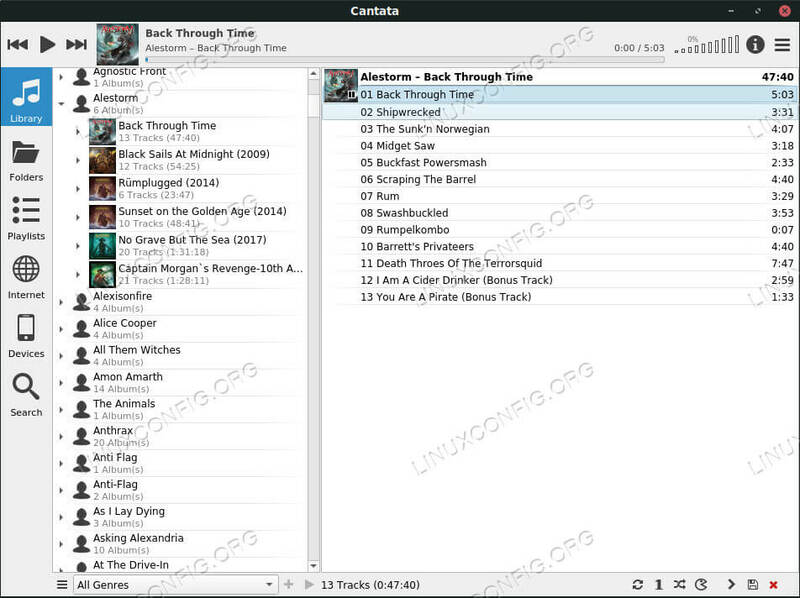 Best Music Players on Linux. Clementine might not be strikingly beautiful. In fact, it’s interface looks pretty dated, but that doesn’t mean that it’s lacking in any way. Clementine allows you to import music from several sources into your library, all of which it automatically updates. If that’s not quite enough music for you, Clementine offers the option of support for multiple online services, including Spotify. With Clementine, you also get a lot of nice extras and quality of life features. You can create and save multiple playlists, all of which you can control, shuffle, and play how you like. Clementine makes an attempt to automatically fetch cover art, but you can manually do that too. It does almost always collect artist information and song lyrics for whatever is currently playing. Your library and your current playlist can both be independently searched. If you’re looking for a complete music player that can do it all, Clementine is a great bet, and that’s probably not changing anytime soon. Lollypop might be the most visually appealing player to make the list. It centers around presenting your album art in an organized and clean way. Lollypop is a GTK application that’s actually been taken under the GNOME umbrella, meaning that it integrates very well with most GTK desktops, especially GNOME. Lollypop offers all of the basic functionality that you’ve come to expect. 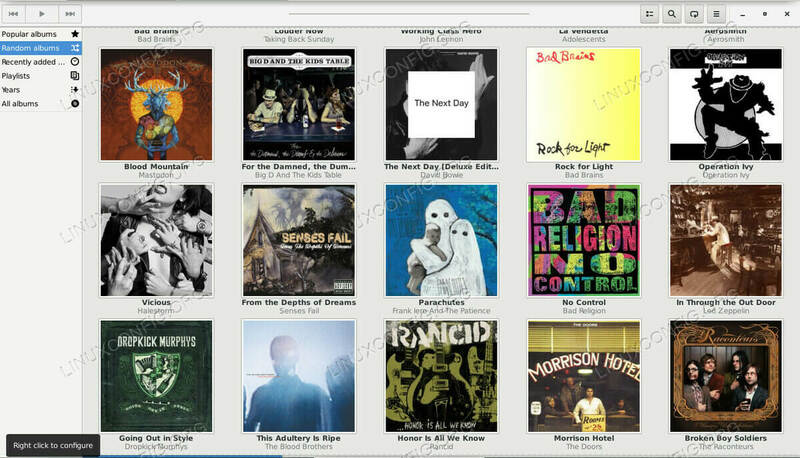 You can import your library, and Lollypop will go to work fetching your album art. Form there, you can create new playlists out of your library, or you can use some of Lollypop’s built in sorting functions, including a random array of albums. Interestingly enough, that’s about where Lollypop’s functionality ends. It’s pretty, but it doesn’t do much other than play music. As far as that goes, it doesn’t have the same range of playback functionality as others on this list. Lollypop is the best option if you want something that looks good and plays your music, but you aren’t concerned with tweaking your settings. DeaDBeeF is the kind of program that you’ll either love or hate. It’s fairly minimal in appearance, and it feels like something from the early 00’s. That said, it’s also super effective and stays out of your way, allowing you to focus on your music, and not much else. 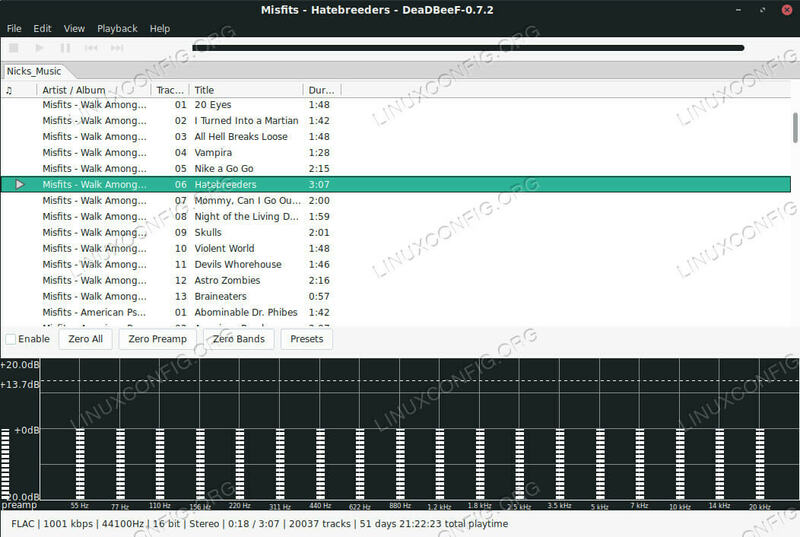 You start off using DeaDBeeF by importing a folder with your music. It will open in its own tab. You can keep on importing files and folders, as you need. Then, you can also create playlists, which will also get their own tabs. DeaDBeeF is a little shy on extra features and frills. It does have a great equalizer, and you can control the order of play, shuffle, and other basic playback functions, but there really isn’t much else. Again, some people will love this. Others are going to be immediately put off by not having the range of options offered by other programs. In any case, DeaDBeeF is worth a shot. If you’re looking for something more minimal and to-the-point, DeaDBeeF might be just the thing you’ve been waiting for. Audacious is another more minimal option, but it does come with more modern features and plugins. Once again, the greater focus is on getting you into your music collection as quickly and directly as possible. Select a directory to import, and wait for Audacious to sort through it. 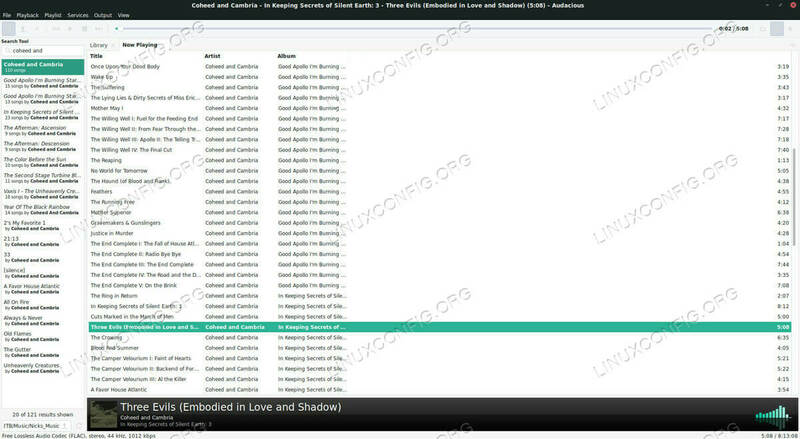 Along the left side of the screen, Audacious gives you ways to sort your music by artist, album, and genre. It also gives you the option to search directly for what you want. With Audacious, you can create multiple playlists in their own independent tabs. Like with most other players, you can also control most aspects of playback and choose to shuffle the playlist. Audacious also includes an equalizer with the ability to import presets. Along the bottom of your current tab, Audacious displays information about the song that’s playing. It shows your album art, the artist, and song. On the opposite side of that bar, you’ll find a mini visualizer. Audacious is a great middle ground option for people who don’t want minimalism but also don’t want a huge player like Clementine. MPD isn’t like any of the other entries on this list. MPD stands for Music Player Daemon, and it’s actually a service that runs on your computer, delivering it and any associated information to various other applications and front ends on your computer. MPD controls the audio on your computer, so this isn’t a streaming application, although you can control MPD remotely. When you configure MPD, you can set loads of variables for the server, including the location of your music directory and the playlists associated with it. MPD can output to multiple devices, including visualizers. As a result, MPD is usually an excellent option for integration with tiling window managers. There are a lot of available interfaces for MPD, but two tend to be the top choices. The favorite graphical client is Cantata. It’s a sleek Qt client that looks and feels a lot like the other entries on this list, but it relies on MPD for the heavy lifting on the back end. For CLI fans, NCMPCPP seems to be the client of choice. NCMPCPP is a full featured client that allows for all of the functionality that you’d expect from graphical options, but controlled via your keyboard. MPD and its front ends are the best option when you want extra flexibility and configuration options. Which music player is right for you? Almost all of these are available in most distribution repositories. Give them a try. You might be surprised.